We know that your pet is well trained. However, we also know that that doesn’t mean they won’t have accidents on your carpet every once in the while. Unfortunately, when these accidents involve urine, it’s not an easy clean and your carpets are at risk of being permanently damaged and having permanent odor. Urine can seep deep below the carpets can ruin the pad and floor underneath if not taken care of promptly and properly. This can be expensive to take care of and replace. 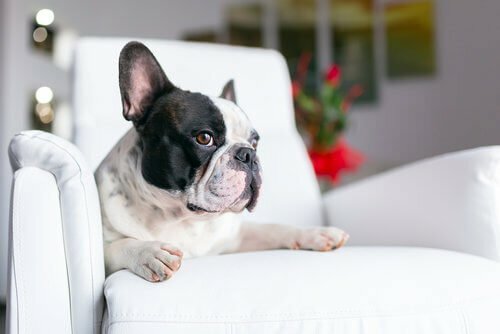 Luckily, thanks to Green Leaf Chem-Dry’s revolutionary P.U.R.T.® (Pet Urine Removal Treatment) service, even carpets severely damaged with pet urine can be saved and the worst odors can be eliminated. 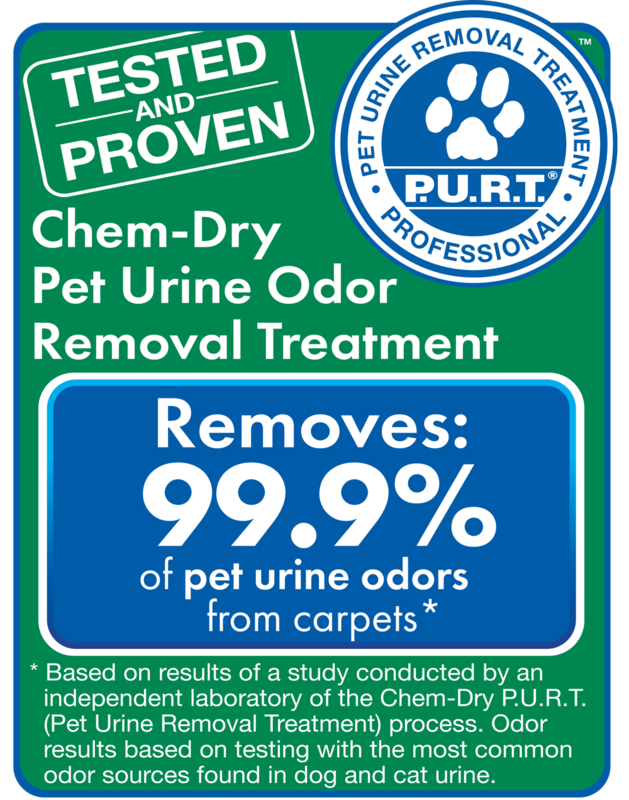 P.U.R.T.® is designed specifically to eliminate both the pet urine odors and stains from all carpet types. Schedule an Appointment with Green Leaf Chem-Dry Today! When pets urinate on the carpet, it doesn’t just stay on the tops of the carpet fibers. It seeps lower and lower until it has reached the backing of the carpet and the flooring beneath the carpet. And does your pet like to do its business in the same spot every time? If so, these locations can accumulate serious damage to the the carpet and flooring. It’s not just the damage you have to worry about; it’s the smell as well. As the urine dries, the liquid evaporates but the urine crystals become even more concentrated and pungent. Simple cleaning will not remove this odor. Until recently, there was not a product available that was effective at removing urine odors. That’s why Chem-Dry developed P.U.R.T.® to handle these hard to clean stains and smells. When P.U.R.T.® contacts the source of the odor, it immediately begins a chemical reaction that destroys the urine odor. Contact Green Leaf Chem-Dry in Olympia today to get a free pet odor consultation!